Are You Ready? 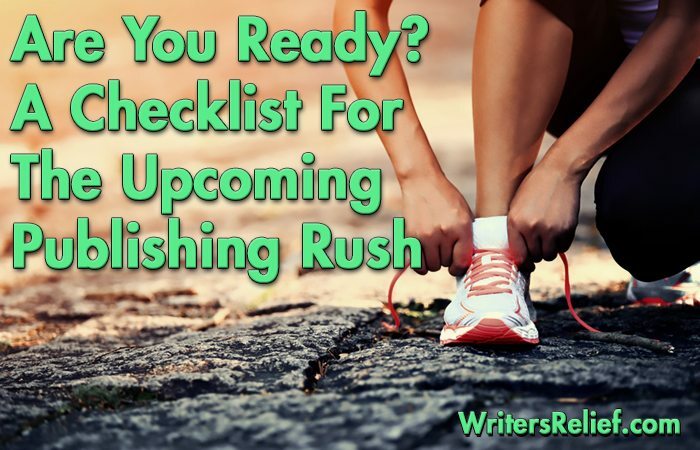 A Checklist For The Upcoming Publishing Rush - Writer's Relief, Inc.
Making time to send out writing submissions can easily slip through the cracks in your schedule, especially when you’re preoccupied with work, family, and the obligations of daily life. But here’s a heads-up—literary journals and agents are eagerly gearing up to read new work. With back-to-school and back-to-work preparations filling your calendar this time of year, we’ve created a comprehensive checklist to help you get your best submission strategy in place for the autumn publishing rush. Prepare Your Submissions—Before you can consider any other steps in your submission plan, you must be sure any work you send out is polished to perfection. Make sure your manuscript is edited, formatted to industry standards, and expertly proofread. Identify Your Target Markets—Be very thorough in your publishing market research. There are thousands of markets out there. We know—we do the all the legwork necessary to keep our information up-to-the-minute accurate. Do you have the most current submission link or address? Have you checked the guidelines? Confirmed the reading dates? Verified the genre? Tracking down this information can take hours (and hours! ), but it’s vital to your submission strategy’s success. If the thought of juggling another big task seems overwhelming—and you’d rather spend your precious free moments writing instead of with your nose buried in mountains of research—Writer’s Relief can target the best markets for your work and help you reach your publishing goals. Submit your work to our Review Board today. 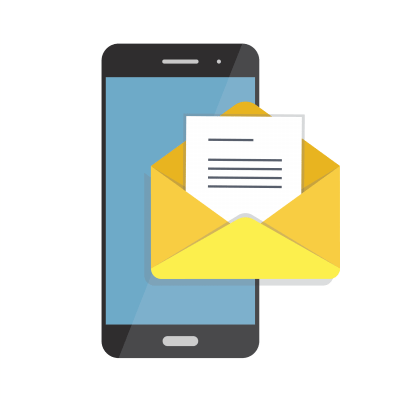 Write Your Cover/Query Letter—For short prose and poetry, you’ll need a concise, well-written cover letter. A novel or memoir will require a bit more work, since your query letter will also include an enticing book blurb to grab an agent’s attention and get him or her to request more pages. Let a few of your grammar-savvy friends read the letter to check for typos or errors before you send it out with your submissions. A poorly worded letter filled with spelling mistakes will make editors and agents cringe and question the quality of your writing submission before they’ve read a single word of it. Create a Filing/Tracking System—Once you start sending out submissions, it’s important to know what you’ve sent and where you’ve sent it. You don’t want to commit the literary faux pas of sending a duplicate submission to the same place! You can choose to go “old school” and use a file box filled with index cards, or you use a spreadsheet program on your computer to track each submission: the journal/agent sent to; the date; acceptance/rejection; and any positive feedback. Have A Can-Do Attitude—Believe that you can succeed: Sending out your work and keeping to a regular submission schedule requires motivation and dedication. Set realistic goals for yourself: I will send out six submissions this week! Or, I will spend two hours Saturday morning editing and proofreading my work! Each step you take on this checklist will bring you one step closer to getting your work published! Submit Your Work To Our Review Board Now! At Writer’s Relief, we’ve been helping writers meet their publishing goals since 1994. 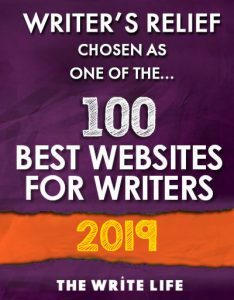 We can do all the busywork for you: target the best markets to increase your odds of getting an acceptance; create your query/cover letter; expertly prepare your submissions; and even track your submissions for you. Consideration is always free and confidential. Do you know a writer who needs a little help or encouragement with his or her writing submissions? Forward this information along! QUESTION: What do you consider the most difficult part of making your writing submissions? You can mention where you would like to submit, and we will take it into consideration, you will also fill out a form that will give us insights on the best markets for your work. We will use this to determine where your work will be sent. Can a client give you a list of the places she wants her work submitted and have approval of submissions before you send work out?